Gamification is an emerging trend of adding a game-play flavor to otherwise mundane business applications. M2 Research predicts that the gamification market will reach 2.8 billion dollars by 2016. “Gamification At Work – Designing Engaging Business Software” is a new book co-authored by two prominent design professionals, Janaki Kumar, Head of Strategic Design Services at SAP and Mario Herger, a Senior Innovation Strategist at SAP Labs in Palo Alto, California. This 155 page book is provocative, insightful and powerful in the way it frames how Gamification can be utilized in today’s high pressure, customer driven design eco-system. Mapping out a methodology branded as “Player Centered Design,” which acts as a practical referenceable guide for UX Designers, Product Managers and Developers, illustrating how these principles can be embedded into their business software design processes. The book is very well written and provides design best practices and a practical approach to gamification. Authors emphasize that simply adding points and badges to business apps does not make them gamified in the real sense. They have outlined an approach to add game-play flavor to routine work-day business applications – a five step approach what they call as a Player Centered Design. The information is extremely useful, straight to the point and choice of words are elaborative. 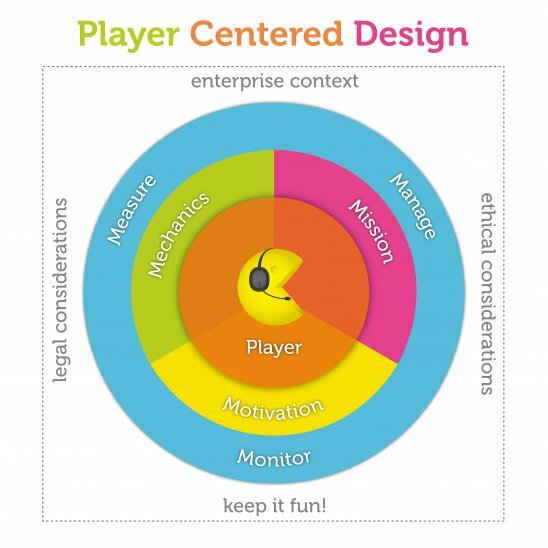 Player Centered Design takes user centered design principles a step further. The goal of this process is to provide a framework in which to think about gamification. It is not meant to be a series of rigid, uni-directional steps, but rather an iterative and adaptive framework. Courtesy of Janaki Kumar and Mario Herger. The book provides ample examples of how gamification is currently being leveraged by various organizations like LinkedIn, Facebook, Pinterest and SAP. They walk you through a complete case study of how an untested idea of SAP SCN Community was transformed into an active community of two-million members through application of principles of Player Centered design. The book also talks about the core engagement loop. This refers to game mechanics combined with positive reinforcement and feedback loops that keep the player engaged in the game. Game mechanics are the most visible aspect of gamification. These are constructs of rules and feedback loops intended to produce enjoyable gameplay. They are the building blocks that can be applied and combined to gamify any non-game context. 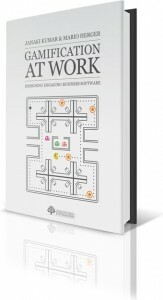 The book is a must read if you are starting out or thinking about adding some sort of gamification to your software applications. Gamification is still very new and emerging. This book is certainly a good starting point on your journey to gamification. Kumar, Janaki Mythily and Herger, Mario (2013): Gamification at Work: Designing Engaging Business Software. Aarhus, Denmark, The Interaction Design Foundation. ISBN: 978-87-92964-06-9. In Press.